Also available with your custom logo! 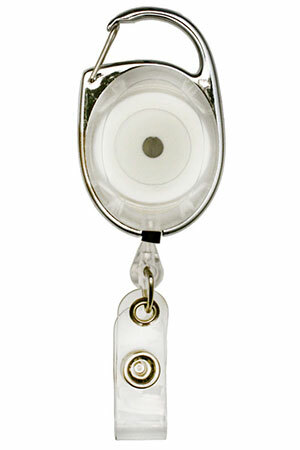 Oval Carabiner Badge Reel. Sleek oval design features a versatile carabiner for easy attachment and a clear vinyl strap with snap for card attachment. The cord length is approximately 31" long. Reel width is 1-3/8".